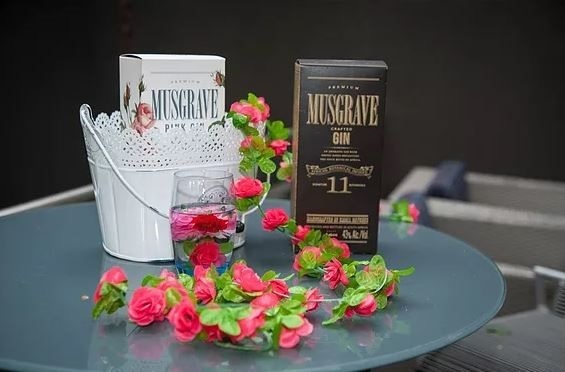 I was recently offered the opportunity to attend the official launch of the Musgrave Gin Pink Fridays at the Maslow Hotel where I got to sit down and have a drink with the creator herself, Simone Musgrave. Launched in July 2015, shortly after Inverroche, Musgrave are some of the more renowned gins that are on the shelves today. 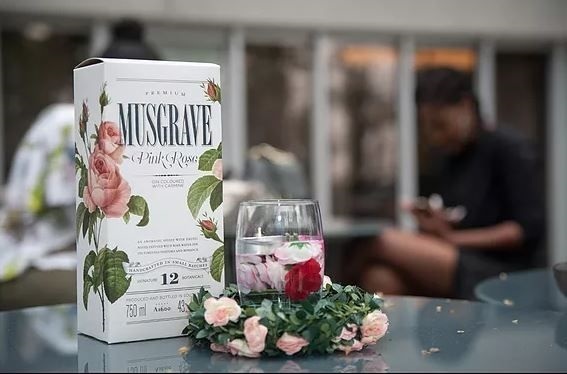 Many people immediately think of the pink gin when they hear Musgrave, but I was surprised to find out that the Musgrave Original with 11 botanicals, is what initially launched the brand. Simone explained, "I wanted to cut my teeth in the gin world with a classic/contemporary gin first." It was only a year later that the pink gin was launched, making for the perfect progression into the distilling world. Simone is a big fan of pink: "I love roses, pink and colour. But the root of it is that I wanted to give women something they could resonate with in the spirit category." With the majority of spirits being more male oriented and also brown in colour, Simone saw a gap in the market. "I wanted to put something on the shelf that looked like perfume." With Turkish delight back notes, it is a very subtle and elegant gin, also unique in that they are not fynbos which many gins are. Having a look at the box for the Musgrave original which is decorated in a gorgeous vintage map, Simone explained that her story is based around her family’s African heritage. "My grandfather travelled around Africa and we tracked his journey. We also found our botanicals in Ghana and Zanzibar and places like that. So we say that we represent Africa rather than just South Africa." Having a Zimbabwean mother and Zambian father, they spent a lot of time in those places where rose gardens were popular. 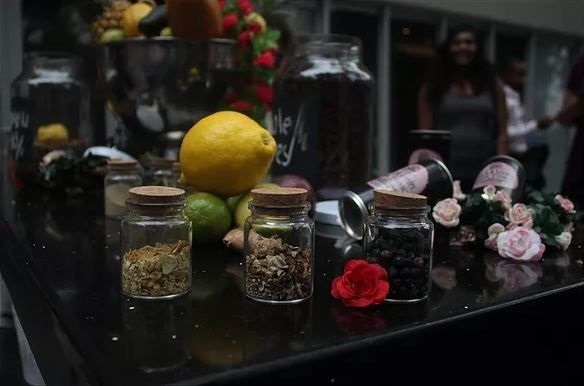 Simone’s mother cultivated her own beautiful rose garden which became the influence for the rose element added to the African spices that can be found in the pink Musgrave gin. I think my favourite part about the Musgrave gin is that it is loved by both women and men. In spite of its girlish appearance, this gin somehow speaks to all of the demographics irrespective of age, race or gender. I have seen a number of very strong-willed men, walking into the bottle store on the search for a bottle of Musgrave pink. Simone is more than pleased at the way her brand reaches across all demographics. "Pink is a colour of power and peace and a lot has changed; it’s not necessarily a girl’s colour anymore, it’s a symbol of strength and equality and that’s what I love about it." "I headed up innovation for a big food company. I developed products all the time across all categories and I knew my retrenchment was coming, I knew I had to move on but I didn’t want to move on into another corporate. I used to analyse trends and had seen the gin trend on the rise, so I decided that I was just going to take the plunge. "I actually launched both gins while I was working so by the time I got retrenched, it was more a relief because I needed to move on to dedicate all of my time to Musgrave because I had gotten so busy by then. I just did it. I didn’t over-think it really. It seemed like the right thing. "I’ve grown up with that sunset moment in the bush because my family is always in the bush, so I understood that moment of beautiful sundowners during the African sunset. It somehow all fitted together and evolved into what it is now. I honestly did not plan for what it is now; this madness over pink, it just happened organically." Taking what she loved as a woman, Simone decided to put on the shelf what spoke to her. She shared a lot about power which resonates with consumers. The pink gin brings in 80% of their business in spite of being the second product which is a tribute to just how powerful that pink message is. Simone personally prefers the Musgrave 11 in a classic gin and tonic and the pink either on the rocks or in a cocktail. Musgrave pink goes well with pink peppercorns or thyme and lime. It is not a gin that needs many garnishes as it is full of flavour and spice on its own. The three top botanicals in their gins includes African ginger which comes from Ghana. It is an indigenous ingredient used by Xhosa traditional healers for gut health. It is also a symbol of peace and power. Second is the Grains of Paradise which is a wild pepper, thought of as an aphrodisiac in Ghanaian culture, it grows in the wild rain forests of Ghana. Finally is the cardamom which is a very key flavour and comes from Zanzibar. The juniper comes all the way from Macedonia and the rest are sourced locally. Their recent release of the mini Musgrave bottles or "handbag gins" as the Instagram community have dubbed them, has also been wildly successful. Having just launched in New York and with small batches making their way to Florida, Miami and California Musgrave gin has begun making waves in the international community too. 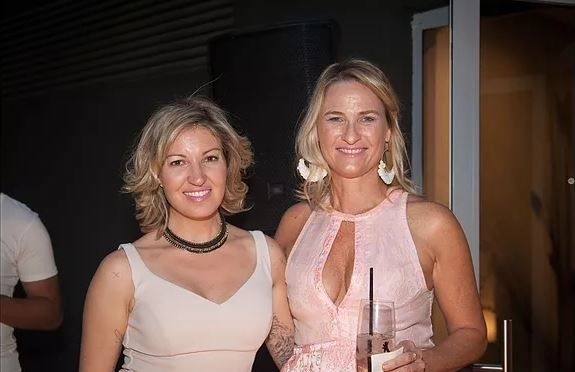 And with the Maslow Hotel launching their weekly Musgrave Gin Pink Fridays, with specially crafted Musgrave gin cocktails, I think we can safely say that pink is here to stay. For more info on where to find Mugrave gin, check out their website and be sure to try out their original gin! Read the original Meet the Maker on SamSamButDifferent. Snedorf is a qualified journalist and full-time blogger. She is obsessed with gin and is trying to bring light to the enormous number of gins and talented crafters that we have in South Africa. She films weekly videos where she samples different gins and focuses on their different botanicals. In the near future, she would love to host gin tastings and sell the handcrafted botanical bags she creates. She adores travel and wants to explore the world whilst drinking gin and taking beautiful photos.